This beautiful posy of flowers includes roses and orchids. 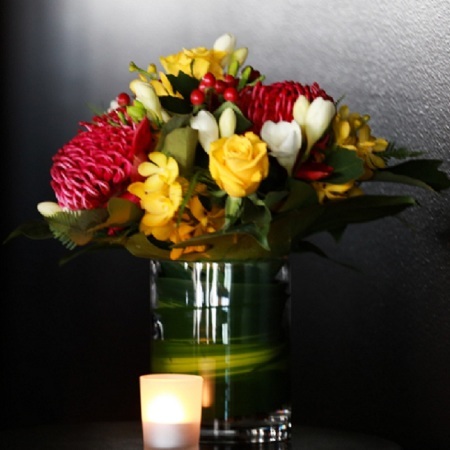 Delivered in a high quality glass vase, this arrangement is sure to be a fine addition to any home. Order online for delivery to the Melbourne area. Shop now and save!